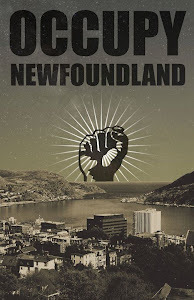 Occupy Newfoundland and Labrador: Free James Learning! 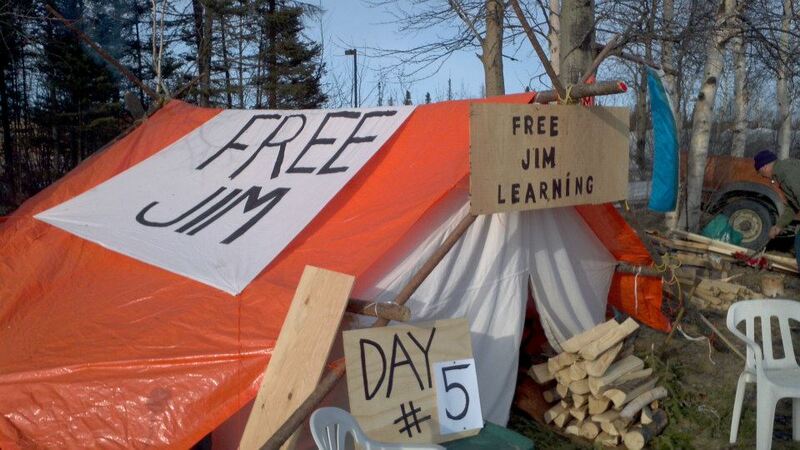 Jim Learning was released April 10th, on day five of his hunger strike. NunatuKavut elder James Learning is being held in custody by RCMP in Happy Valley-Goose Bay. He is on hunger strike for the duration of his incarceration, in protest of the stripping of his constitutionally guaranteed rights. This is unconscionable. 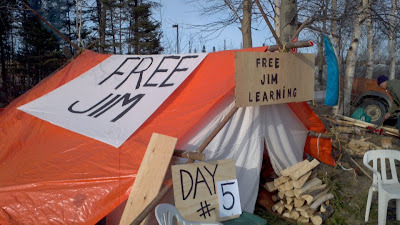 Jim's crime is no more than standing up for his people, to the chagrin of our hydra-headed government and its corporate masters. 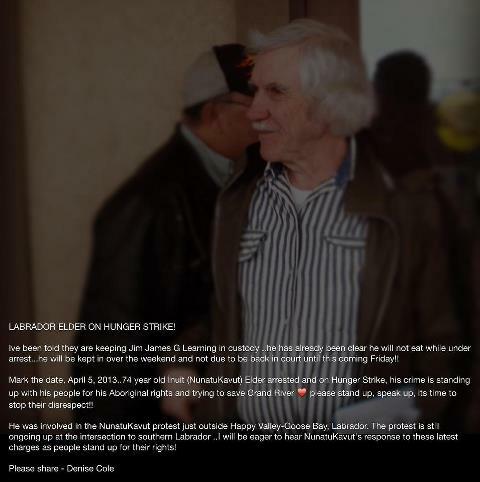 **For more background, The Independent has two great articles out: "Hunger Striking NunatuKavut Elder Calls for a Unified Labrador," and "NunatuKavut Launches 'on-the-ground' Action Plan to Halt Muskrat Falls." 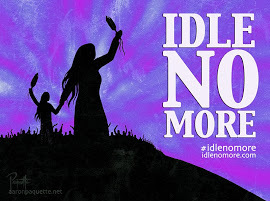 ?úl-nú-msh-chálap, the Coastal Salish people stand with you!